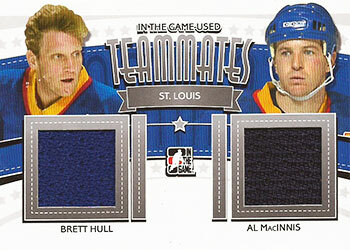 He played for the Calgary Flames, St. Louis Blues, Dallas Stars, Detroit Red Wings and Phoenix Coyotes. 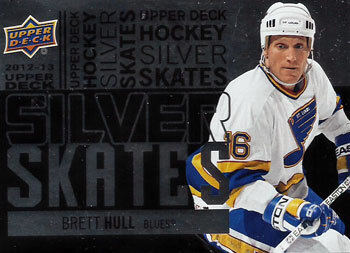 Brett Hull scored 741 regular season goals in his career, placing him third all-time for most career goals in the NHL. 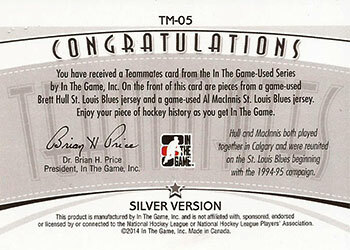 Brett Hull also scored what some fans, particularly those of the Buffalo Sabres, consider to be a controversial Stanley Cup winning goal on Buffalo Sabres goaltender Dominik Hasek in 1999 to give Dallas its only Cup win. 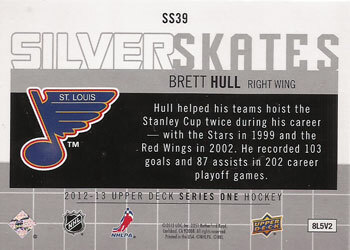 Hull also won the Cup as a member of the Red Wings in 2002. The son of a Canadian father and American mother, he holds dual U.S./Canadian citizenship and represented the United States in international competition. Hull was inducted into the Hockey Hall of Fame in 2009. 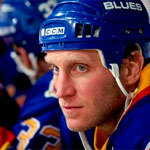 Brett Hull, like his father Bobby Hull, is widely recognized to have one of the best shots in hockey history. 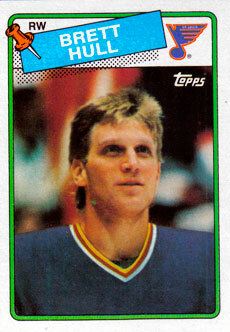 Brett Hull could release the puck extremely quickly, while still keeping the shot hard and accurate.